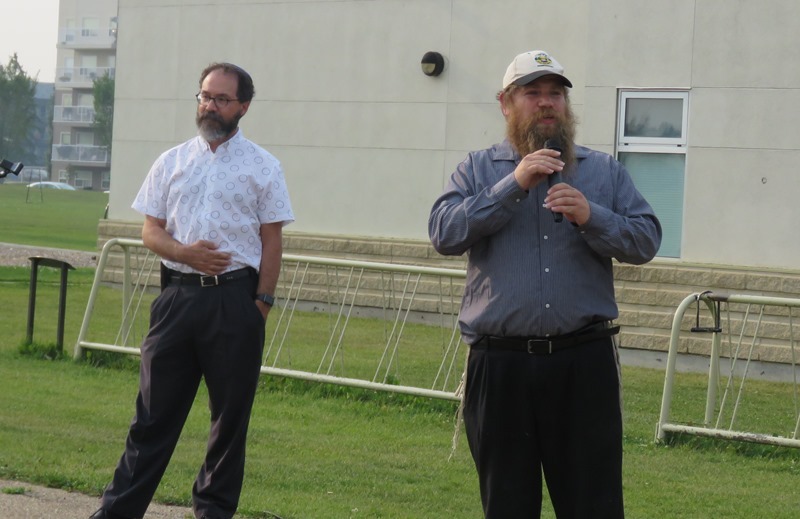 Over 100 people gathered at the Talmud Torah playground to show their support against racist and homophobic slurs that had been spraypainted in the neighbourhood. 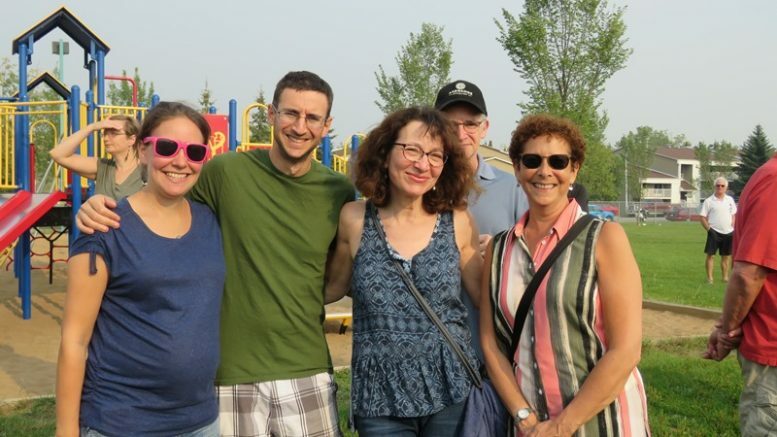 Talmud Torah teachers Ari Sniderman and Robin Marcus came out to show their support, pictured above with Faren Hochman, former TT teacher Mona Rosenberg, and Dan Rosenberg in the background. 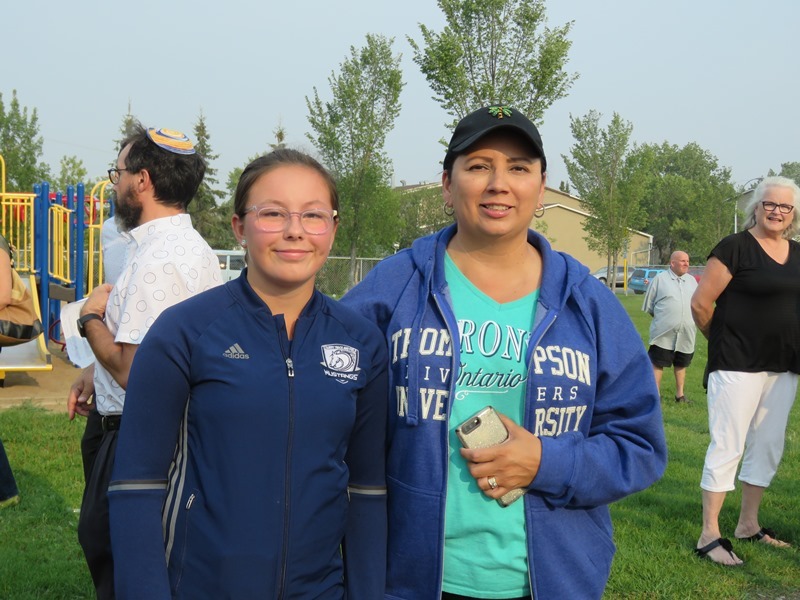 (EJNews) – A wave of racist graffiti prompted a solidarity rally in southwest Edmonton on August 7th at the Talmud Torah School playground. 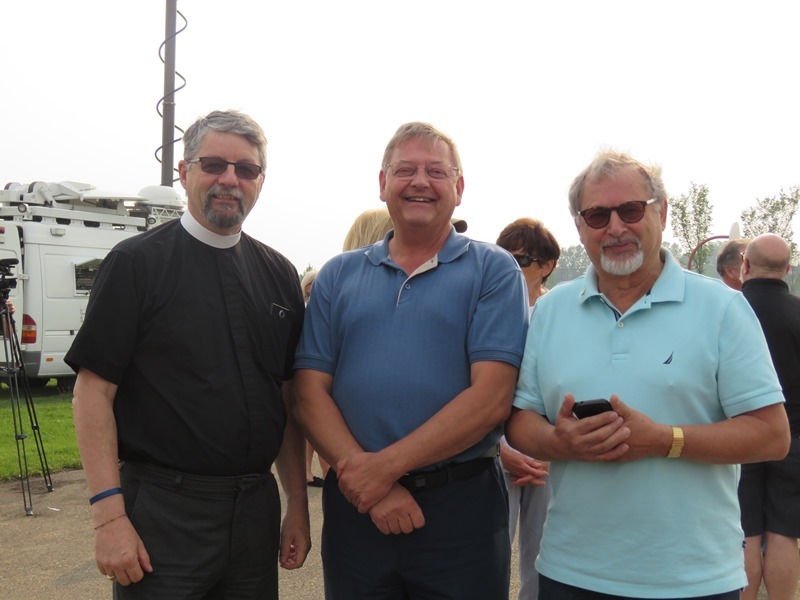 Over 100 people gathered as a show of support to the residents of the Gariepy, Lessard and Callingwood neighbourhoods where several swastikas and other symbols of hate had been spray painted in multiple locations on Thursday August 2nd. 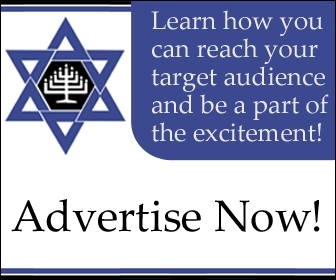 The large symbols had been painted on several residential fences, on some equipment at the Lessard playground, on an ETS bus shelter and on the basketball court at Talmud Torah School. 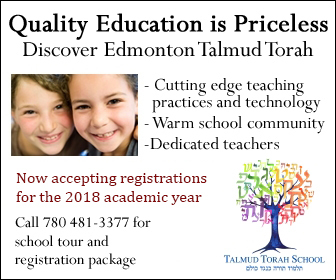 The southwest Edmonton neighbourhoods are home to a diverse group of residents and include the Talmud Torah School, the Ruhma Mosque, Our Lady of the Prairies School and a Presbyterian church. Talmud Torah Society Executive Director Gerald Sorokin and Chabad Rabbi Dovid Pinson. Talmud Torah Society Executive Director Gerald Sorokin emceed the rally. 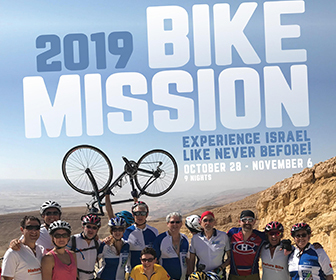 He welcomed everyone and said how heartening it was that there were so many members of the neighbourhood in attendance in addition to government officials, and members of the Talmud Torah community. He said that although it was an act of hatred that brought everyone together, the rally itself had become a wonderful act of solidarity for the community-at-large. 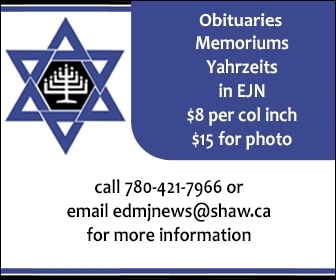 Reverend Larry Wright, MLA Lorne Dach and B’nai Brith Alberta Manager Abe Silverman. 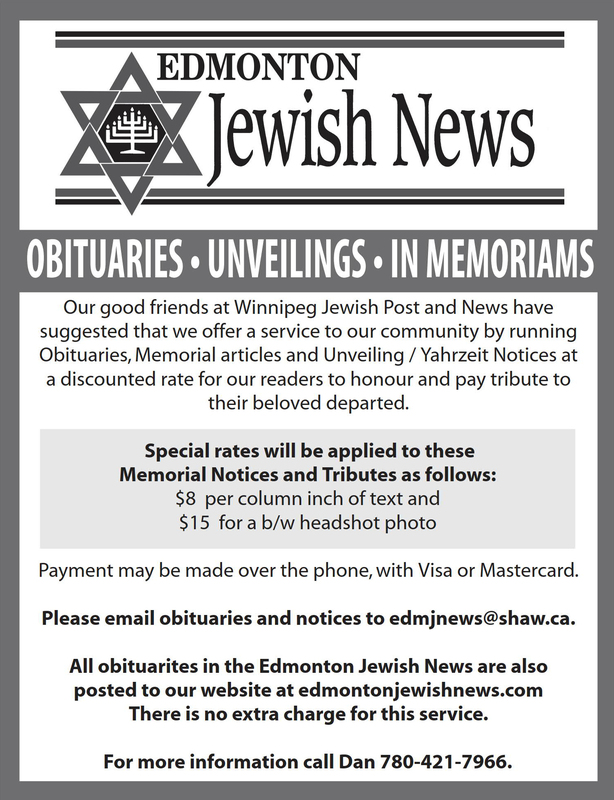 Other speakers included Jewish Federation of Edmonton President Steven Shafir, MP Kelly McCauley and Chabad of Edmonton Rabbi Dovid Pinson with each speaker emphasizing that there is no place in our society for these acts of hatred. They also commended the members of the neighbourhood who acted quickly to both report the damage and then band together to clean it up. They also applauded the show of support and solidarity that was demonstrated at the rally. MP McCauley noted that one year ago, he and his oldest son visited Auschwitz and learned about the horrors committed there and today he was at the rally with his younger son and there were important lessons to be learned here too. He was gratified to see that neighbours from all religions and all walks of life were gathered in an expression of solidarity. Sorokin thanked the speakers and asked if anyone in the crowd had any questions or would like to say a few words. It was quiet for a moment and then a man approached the podium and identified himself as a Christian and said how great it was that so many different people from the neighbourhood came out to show support. He said that this kind of thing affects us all and how important it is to come together. Members of the Enoch Cree Nation, Corina and her daughter 12-year-old Christina attended the rally. Christina concluded the event with a beautiful Cree rendition of O’Canada. After that, a resident of the neighborhood, Gurmit Bhachu stepped up to the mic and said that there is too much hate in the world and it was good to come together as a display of unity. He was followed by a minister who echoed his remarks. 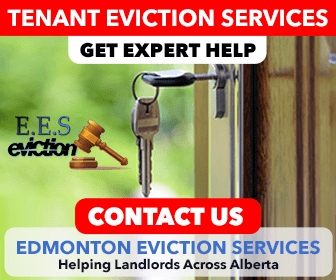 Neighbour Corina Hollingworth then identified herself as a member of the Enoch Cree Nation. She reminded the crowd that we are on Treaty 6 territory and she emphasized that it’s important that we treat each other with respect and make some effort to get to know one another. Her daughter, twelve-year-old Christina Hollingworth then concluded the rally with a beautiful rendition of O’Canada in the Cree language. That brought the rally to a close, but people continued to mingle in the playground, enjoy the beautiful summer weather and become better acquainted. Be the first to comment on "Racist graffiti brings Edmonton community together in solidarity"